Discussion in 'Sega Dreamcast Development and Research' started by duskdawn, Jul 8, 2015. I've a DC USA VA1 with mx chip installed and japan_cake 1.031 bios. I never managed to get mine working with 1.032 like you and had the same problem. I went back 31 instead. Hmmmm, i'm stuck on a boot loop when i'm trying to boot Unreal Tournament NTSC, anyone else had this problem? Strangely enough it's the only game so far that has this problem. I'm using a clone unit that just arrived today. I did some research and couldn't find any info other than this thread, but i haven't seen a slution yet. Thanks for the suggestion, but the problem persists. 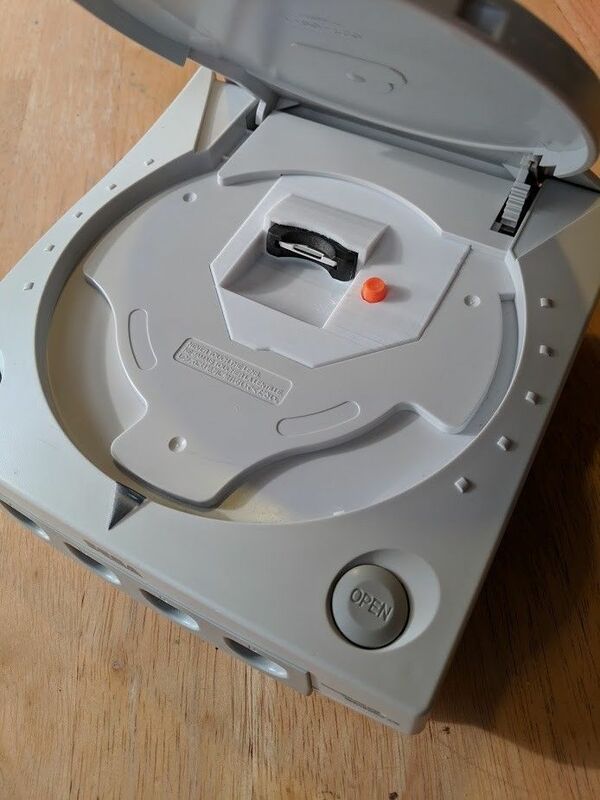 RebuildGDI makes the gdi noticeably smaller, but other than that after the sega authentication screen, it loops back to the dreamcast logo. My firmware is 05.15, so i don't think it is a firmware issue. If you have gdemu please give it a go and let me know. Other than that i'm open to any suggestion. Edit: Just tried with Tosec, also trying with RebuildGDI. Same problem both ways. Meant to post earlier . Forgot. renanbianchi and AUSTIN PEYTON like this. Huuuuuuum, think it's firmware related? Might also try with another sd card, dunno what else i might try tho. Also, what SD card are you using? Also i'm using 32kb cluster size, think it might be related? i'm using a kingston class4 16gb. It's on the silver card but I doubt it wouldn't work on the gold. Huuuuuuum, think it's firmware related? Might also try with another sd card, dunno what else i might try tho. Also, what SD card are you using? you mean the sd association or the phillips one? Just tried it, same error. Only thing i can imagine is the sd card now, can't think of anything else. I'll try to get a Class 10 and test it, will report tomorrow. fafadou, Anthony817 and Mrneo240 like this. Ok i just tested with a brand new Sandisk class 10 32gb formated using SD Card formatter and i still get the same error. Maybe you can PM me a link to get the same image you got, @Mrneo240 ? I have no idea what else i could try. I did remove the 12v resistor + voltage regulator from the power supply as i read that it reduces heat, i don't know if it has any relation but i don't think it does. There is a new version of SD CARD MAKER FOR GDEMU, try different release of unreal Tournament. Greg2600 and renanbianchi like this. Thanks for the tip, but the download link doesn't work, or the website is blocking brazilian ips. Either way i can't download it. EDIT 2: Same problem persists. I even checked if there is any factory defect and i saw that there is a wrong crystal on some gdemus that could cause problems, but my GD is using the correct crystal. Any issues I typically have I solved by unplugging the GDEMU from the gdrom bus and plugging it back in. Cleaning contacts on SD cards with isopropyl alcohol and cotton swabs helps too. Other than that, it can only be an incompatible SD card at this point. I was playing the TOSEC rip of Unreal Tournament just fine on my GDEMU clone with a 128gb SanSisk micro SDXC inside of an adapter. I just downloaded from a website called Freerooms v1.004 and it worked. Seems to me that all this time i was downloading ver 1.000 so it must be something wrong with that. But thanks for all the help guys, really apreciate it. DanyH83 and Anthony817 like this. Just saw this posted. Anybody have a 3D printer and willing to make these? What I like about that one is the lower support. It looks great! The other ones I liked that I saw on eBay, but they always wanted like $30 for them, which I guess isn't really that bad considering they included the SD extender as well. Well, if you were to have these things made by a 3D printing service, it's going to cost about that much. The one from Javi in Spain looks a lot nicer.